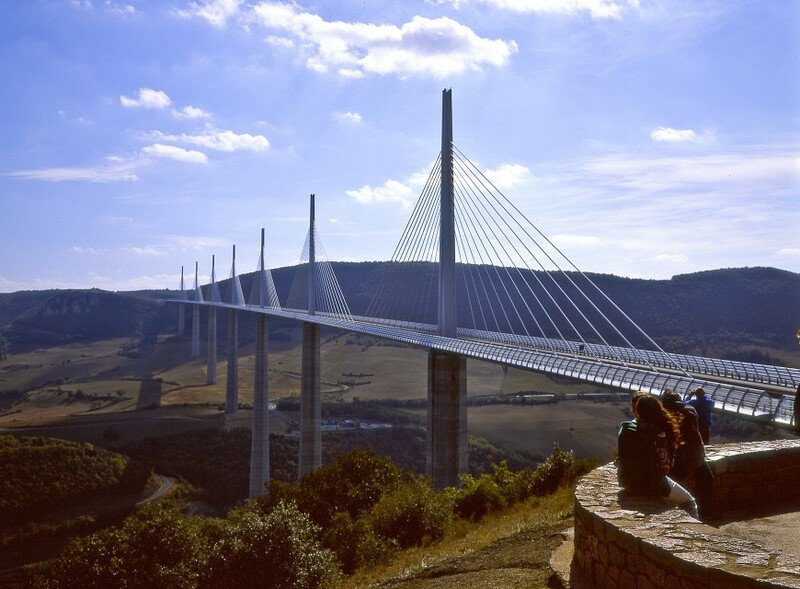 Stretching across the Tarn Valley at a height of 886 feet, the Millau Viaduct is the highest road bridge in Europe as well as the tallest structure in France. 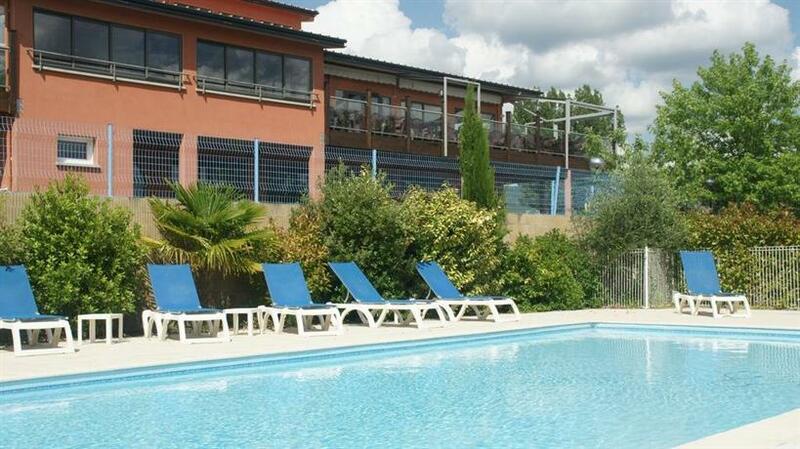 It forms part of the A75 motorway, which runs south from Paris and is a popular route to Spain and the Mediterranean. The bridge is a source of great pride to the French; in 2014, the tenth anniversary of its construction was commemorated with a fireworks display and a flypast by the French national air display team. The viaduct was one of several proposals to ease congestion around Millau during the holiday season, and easily the most spectacular. 14 years of planning and preparation were followed by 3 years of construction before the work was completed in 2004. The bridge is nearly 1.6 miles long, supported by seven pylons in the valley below. 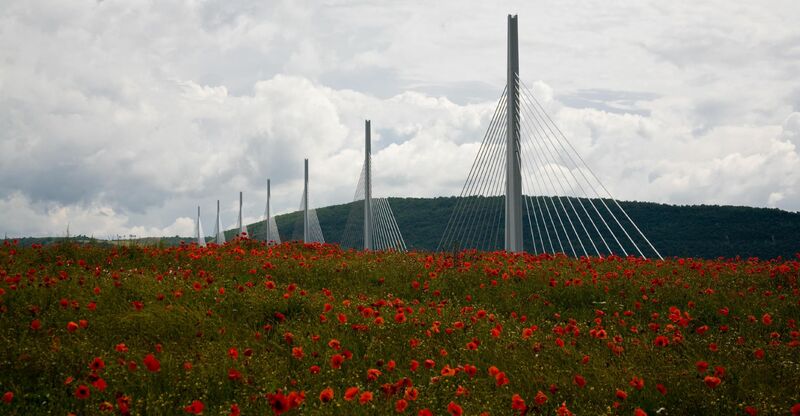 The slender white towers with their cables stretching down to support the deck of the bridge form a distinctive landmark, visible for miles around. If you’re travelling between Clermont-Ferrand in the north and Béziers in the south, chances are you will cross the viaduct. It forms part of many journeys between the north and south of France, and is worth a detour if it isn't quite on your route. Bear in mind that there is a toll charge – the only one on the A75. At the time of writing, the fee is € $ 7.30 USD for a car and € $ 11 USD for a caravan, with a higher rate in July and August. The toll for motorcycles is € $ 4.60 USD all year round. To get the most out of your visit, take a break before or after crossing the viaduct to admire its size and beauty. The motorway services at Millau (‘Aire du Viaduc de Millau’), based around an old farmhouse, is accessible by local roads or from the motorway, and features a viewpoint as well as information about the viaduct and the surrounding area. There’s also a restaurant offering a range of local dishes. 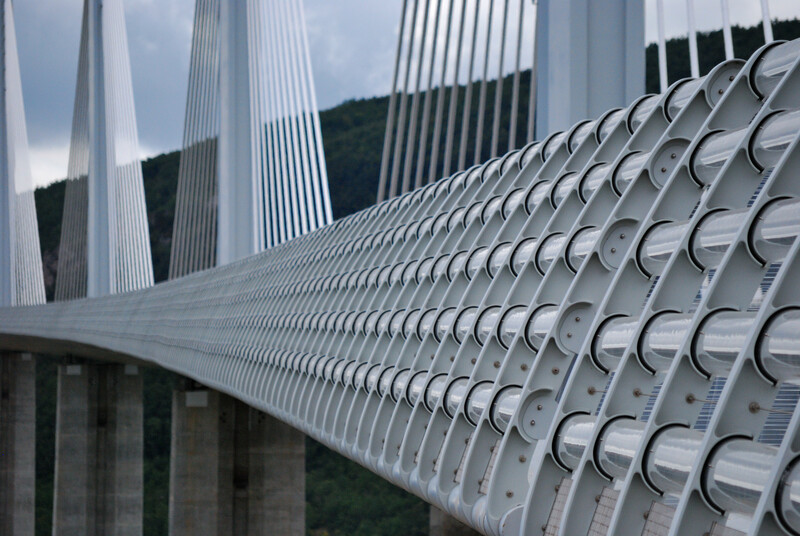 At the foot of the viaduct, in the ‘Viaduc Espace Info’, you can learn all about its construction, buy souvenirs, and even enter a life-size model of one of the pylons. 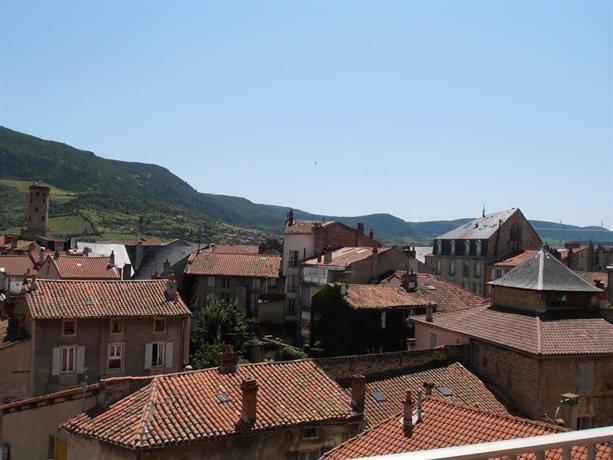 Other spots to get a view of the viaduct, and to break your journey, include the town of Millau itself and the pretty village of Peyre. The bridge looks majestic whatever time of day you visit, but can seem particularly impressive at sunset, and it’s lit up at night. If you’re spending time in the region rather than just passing through, you’ll probably be seeing a lot of the viaduct. More unusual encounters include canoeing beneath its span, or passing overhead in a hang glider. 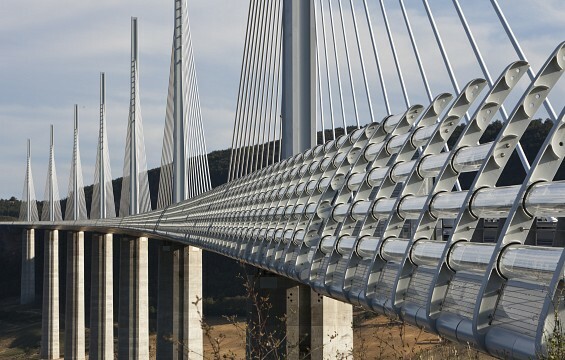 The Millau Viaduct is situated in the Aveyron department, in the region of the Midi-Pyrénées, and in the south of the Massif Central. It’s an area of historic villages, vast landscapes, and impressive geological formations. Averyron boasts some of France's official Most Beautiful Villages ('Plus Beaux Villages de France'), like Peyre, Najac, a medieval village perched with its castle on a rocky ridge, and Sainte Eulalie d’Olt on the banks of the Lot. There are also several interesting fortified towns, called bastides. The Aubrac region has its own breed of cow, while Laguiole is known for its cheese and its knife-making industry. Another big local name in cheese is the famous Roquefort. The limestone plateaus of the Causses and the valleys of the Cévennes National Park are on UNESCO’s World Heritage List. To the north of Millau, you can find the Gorges du Tarn, where the river Tarn has carved out deep channels. It’s a great spot for walking, climbing, or just driving to a viewpoint. 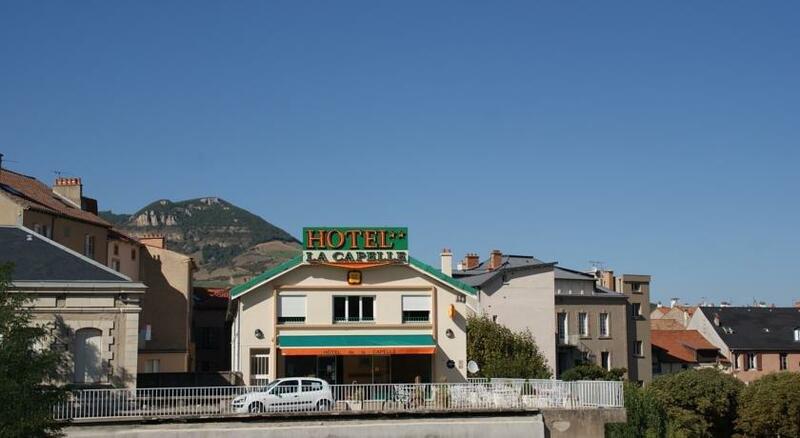 Millau can be a convenient place to break your journey, and the region has enough attractions for a longer holiday. 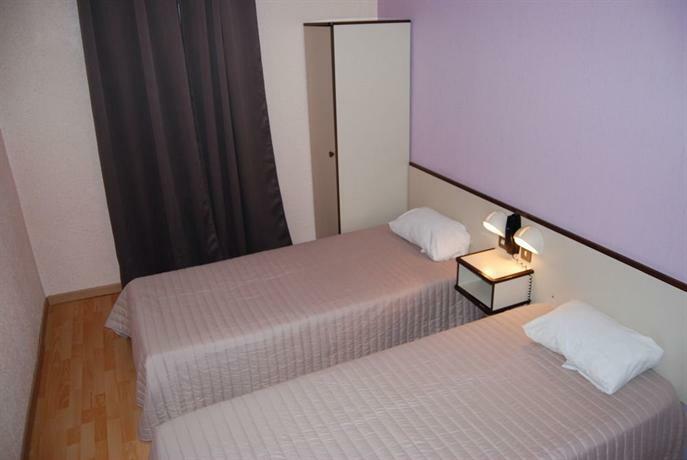 Millau itself is a large town with a choice of accommodation from economy to luxury, and from chains like Ibis and Mercure to family-run businesses. 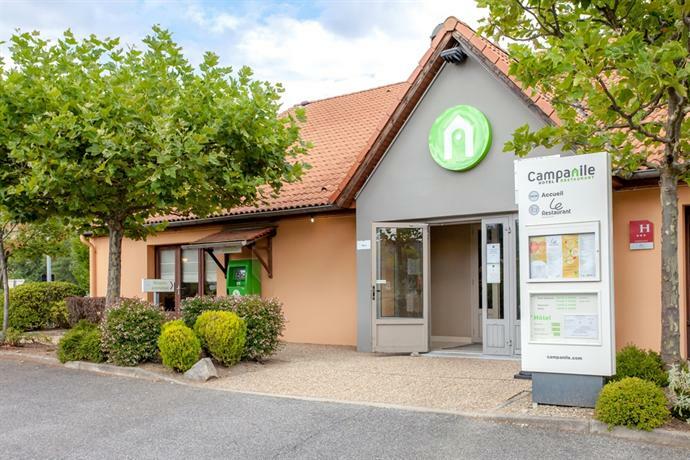 If you’d rather wake up to views of the countryside, there are holiday villages and campsites, often with access to a pool or one of the area’s many lakes. 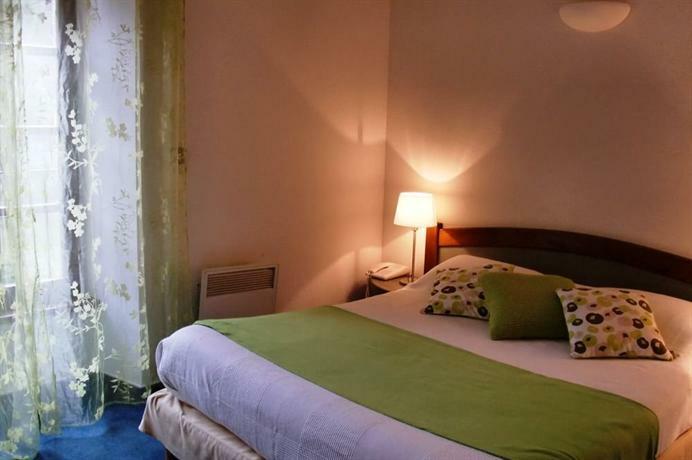 Chambres d'hôtes, or bed and breakfasts, are usually rooms to let in a family home. You might find yourself staying in a farmhouse, or even a former castle. If you prefer something more unusual, you can spend the night in a yurt, treehouse, or caravan.